Covet and Grace sapphire rings are a stunning pair. 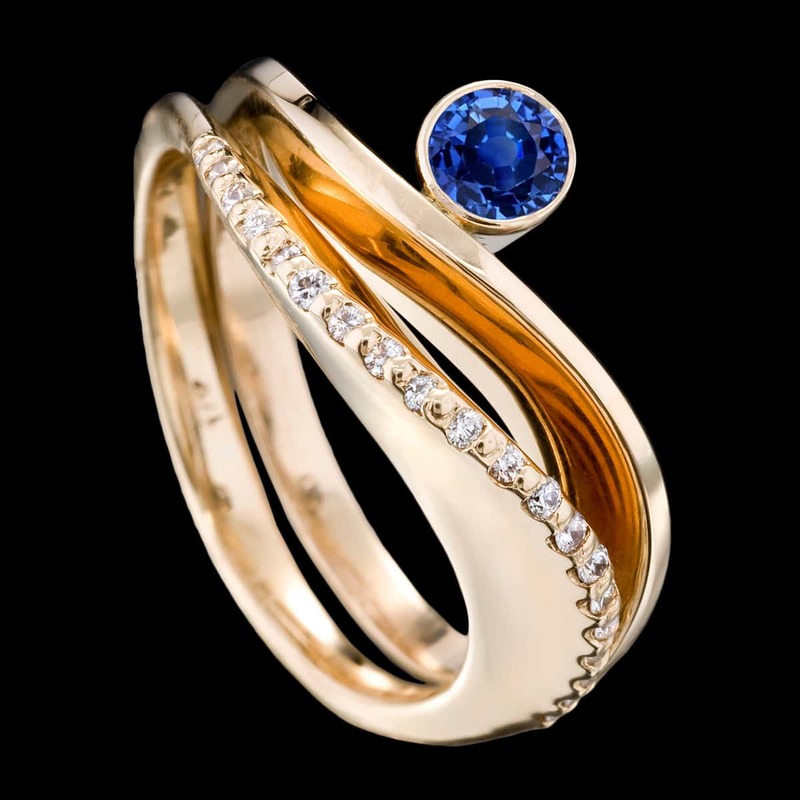 Shown here in 14kt yellow gold with a .33 carat blue sapphire in our Grace design stacked upon the Covet ring which features 21 pavé set diamonds. Available in white or yellow gold to accompany a variety of stone types and sizes. Looking for the perfect center stone? We offer GIA expertise and competitive pricing for diamonds and colored gemstones. If you already have a center stone we can set it for you. To purchase, call (949) 715-0953 or use our contact form below.